Adam Taylor is a long-time composer and music technology lecturer who works in our Bristol FE Location House campus across the Access and BTEC courses. Specialising in Audio and Music for the Moving Image, Game Audio and Orchestration, Adam has developed an eclectic array of skills that recently contributed towards him achieving a distinction in a Music for the Moving Image Master of Arts degree. That eclecticism makes Adam an invaluable member of the dBs Music team, his broad range of skills enabling him to not only compose in a multitude of genres and styles, but also deliver a musical accompaniment that can enhance any visual context. 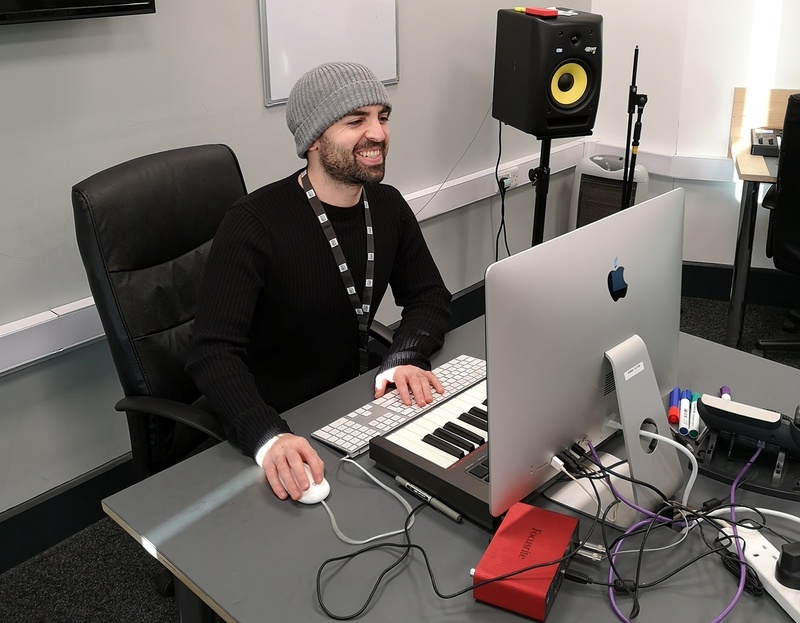 With such an extensive knowledge across multiple facets of music composition, technology and production, Adam is a font of knowledge that all our dBs Music FE students benefit from. Discover the diplomas at dBs Music and find out more about how our tutors and facilities at dBs Music can help you fulfil your potential.